Latarsha Sanders murders her two sons in 'voodoo stuff' ritual. Pictured, Brockton, Massachusetts woman, Latarsha Sanders. What led to Latarsha Sanders a 43 year old Brockton, Massachusetts mother slaying her two sons, with one son stabbed 50 times. Part of a vidoo ritual indicate initial clues. 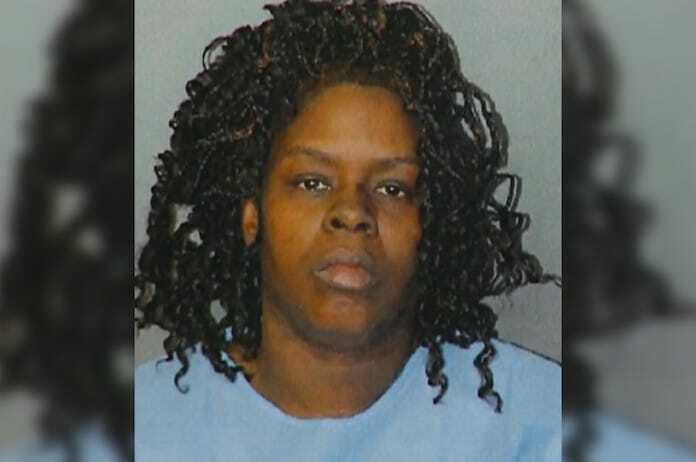 Latarsha Sanders a 43 year old Brockton, Massachusetts woman has been arrested after allegedly stabbing her two young sons to death. 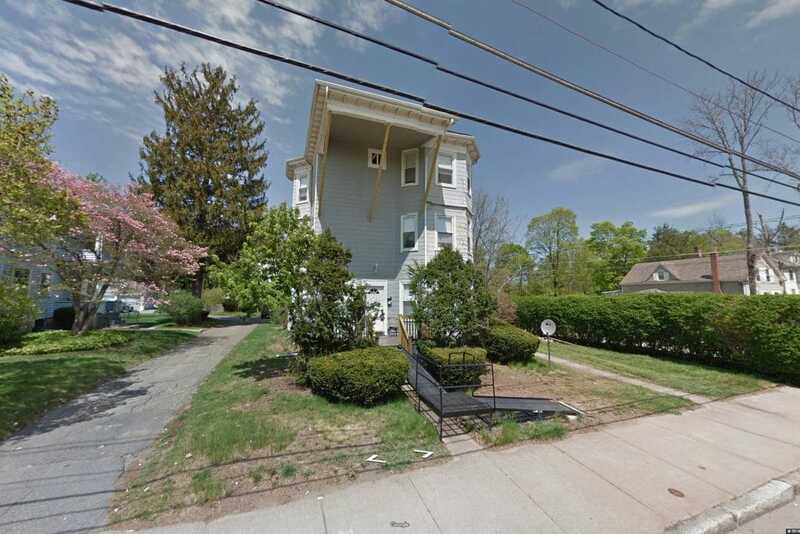 Notice of the woman’s 8 year and 5 year old son’s death came Monday following a call from a tipster, with responding crews finding the bodies of the deceased boys at the family’s third floor residence. Police told of the boys having been murdered, no less than two days prior to the discovery of their bodies. At the time of the murders the mother had been observed leaving the apartment without her sons. Police were called initially what they believed to be a medical emergency with the mother who had been observed acting delirious, only to make the macabre discovery of her two slain sons. Upon her arrest, witnesses observed a distraught Sanders kicking and screaming as she was led away and put into an ambulance. Told a neighbor via CBS Boston, ‘She looked like she was kind of limp, sitting there until they put her on a stretcher and then she kind of started screaming and kicking’. The children’s grandmother told police the last time she saw the children was in Randolph, Saturday afternoon, when they were supposedly being taken to the hospital for flu-like symptoms. Vin Lalli, a grandfather who has lived on the same block for 40 years said Sanders didn’t appear to work and stayed mostly to her herself inside the Prospect Street apartment building. Authorities said Sanders has a third child, who was not harmed. Lalli said he believes Sanders’ older child may have been working at the time of the murders. Latarsha Sanders neighbors: Never saw any sign of trouble in the home in the past. Neighbor Ernst Blanc told of regularly seeing two young children playing in the yard behind his house, frequently throwing a ball, playing tag and riding bikes. He never saw any sign of trouble in the home, he said. Another neighbor, Darcy Ruskiewicz, put a pink teddy bear against a utility pole near Sanders’ residence. Following Sanders’ arrest, Plymouth District Attorney Timothy Cruz held a news conference where the DA said the mother made statements ‘that can be construed as admissions’ to the alleged killings, reported the Boston Herald. The DA told of Sanders initially denying involvement in her sons’ murders, but relenting when a test found human blood on her hands. Court documents revealed Sanders using a kitchen knife which had been left in the sink. Cruz went on to state that his office believed Sanders acted alone. A report via The Enterprise identified the slain boys as Lason Brito, 5, and Edson ‘Marlon’ Brito, 8. Latarsha Sanders crime scene motive: A voodoo ritual that saw her stabbing one son up to 50 times in the face and neck. Cruz said Sanders’ comments to police and a possible motive in the killings could be revealed when Sanders appears before a judge Tuesday in Brockton District Court where she was set to be formally arraigned on two counts of murder. A preliminary report via The Boston Globe told of Sanders stabbing her 8-year-old son more than 50 times as part of a ‘ritual incident’ before proceeding to repeatedly stab her 5-year-old son. The boys according to investigators incurred upwards of 50 stab wounds to the face and neck. A spokeswoman for the Department of Children and Families declined to comment on whether the agency had a history with Sanders, citing privacy concerns. It remained unclear as to the father of the children’s whereabouts. Following her court appearance, the mother was remanded to remain in custody with no bail being offered. Sanders next court appearance is scheduled for April 9.